Why Weren't the Chaldean Clergies at the Convention? Imbued with the sense of patriotism, a nationalist relishes the superiority of national over the individual welfare, community over the family. A recent visitor from Iraq explained to me that the most remarkable example of selflessness he observed was the full dedication of the Assyrian guards securing the Assyrian towns and villages. Many of these selfless men would leave their families and children housed in a small room, shared with one or more other Assyrian families. They, in turn, sleep in a small house and share their space, food and water with a dozen other Assyrian guards. Their assignments may last a month, two, or more. They are unaffected by the normal impulses we experience everyday, that of closely protecting our families, providing for their daily nourishment, and living a life of 9-to-5 before we arrive at our warm and cozy living quarters. In California, we spend as much as the entire annual budget of the largest Assyrian charity organization in America to buy one of these comfy homes. I often wonder if most of us become activists because of our unconscious burden of guilt for escaping the wrath of the Moslems and celebrating the life of plenty and extravagant material goods in the west. What would I think of someone like myself living the good life in America, had I been holding a rifle in hand, sitting inside an old mud hut in the middle of a ruined Assyrian village in north Iraq, away from my children and my wife living on penury? There exist three types of Eastern Assyrian nationalists in America. Those of us who fervently hang onto the “Assyrian Only” national identity in Iraq, those who occupy the space on the opposite end of the spectrum and wish to hear no other terms except that of “Chaldean”, and the rest of us who feel the numbers matter more than the names in the politics of the day. Politics is said to be the art of the possible. What is possible in Iraq now may not be feasible in a few years from today if our numbers continue to decline as fast as they have since the bombing of our Chaldean and Syriac Churches. Not giving too much credit to our Moslem enemies, the Kurds are succeeding in their plans to wipe out the Christians from north Iraq. The Moslem extremists, on the other hand, are achieving something of equal significance by forcing us to leave Mosul and Baghdad for Jordan and Syria. Instead of coming together and harmoniously work toward the common goal of securing the rights of our people in our homeland, the two Idealist “Chaldean Only” and “Assyrian Only” ends of the Eastern Assyrian population in America continues to squabble over the legitimacy of their historic or religious titles. Luckily for the tired and the defenseless ChaldoAssyrians in Iraq, there is a third group in America – the Realists. The practitioners of our form of Real Politik have established direct contacts with several major political parties and churches in the United States, and have fully ignored the idealists from any futile discussions. They believe that there is very little time left between now and when either the elections in the United States or in Iraq can forever change the landscape of politics and shatter the permanence of Assyrians’ survival in their homeland. Instead of pleading to the extremists, they are promulgating the largest Assyrian grassroots effort in America and taking their voices to Washington D.C. later this week. The “Safe Haven Petition” that our readers so enthusiastically read and signed last week, either electronically or with a hand signature, has been circulated in all clubs and churches by teams of such realists. The results are astounding: over 4,500 signed petitions from Los Angeles, 1,000 from San Diego, 1,500 in San Jose, 700 from Arizona, 400 in Chicago and hundreds more from the East Coast. The numbers from Chicago and Detroit remain low. Not surprisingly, the idealists were further removed from this process by the pressure from the Church of the East Diocese in Chicago and the Chaldean groups who are more concerned with their association with the Arabs in Michigan than the wellbeing of their own people in Iraq. This despite the fact that the two bishops of the Church of the East in California and Arizona and the Chaldean Catholic Church in Detroit and San Diego equivocally endorsed the Petition. The “Petition Campaign” has been a faultless litmus test for the validity of our sense of nationalism. If it holds true that nationalism is an exercise in protecting the greater good of many and not the self, neither a tribe, nor a political party, and not even a religious faith, then the individuals who deserted their sisters and brothers in Iraq in their most difficult hours last week for the sake of economic or political gains should not be labeled as idealists either. The future of the Assyrian nation – be it conceived by the Nestorians, Chaldeans, Syriacs, Arameans, or any other segment of this nation’s rich and glorious history lies in the hands of those filled with the fervor of love for a homeland not built on the glories of the past, rather what is possible in the future. Thanks to the “Petition Campaign” it is now clear who among us in America stands tall for the unity of a people once again unified in purpose. Neither their empty talks on the television, nor their sermons behind the pulpit, nor their references to a romantic era in a long forgotten period of our history can alter the objectives of the realists to bring life and hope to over a million Christian ChaldoAssyrians in Iraq. Let it be said now that many among the realists steadfastly adhere to their moral duty to history and heritage in preserving the pure spirit of Assyrian identity. But first they must rise above the tide of obscurity and apathy to bring hope and safety for their Christian brothers and sisters in Iraq. On that day when the tired Assyrian guard quietly enjoys a delicious meal with his family in his own house and on a well-lit street of an Assyrian village that is protected by armed men and women, only then must we open our history books and holy scriptures to defend the legitimacy of our identity. Until that hour, we must rally forward, increasing in number and force, and push back our enemies – their plans and aspirations- behind the borders of Ashur. The influence of the Assyrian political groups on Assyrians in Iraq, especially since the 1991 Gulf War and the presence of somehow limited and restricted freedom in north of Iraq under the No Fly Zone established by the Coalition Forces, is yet to be studied and determined. Meanwhile, in the West, the Churches continue to have greater influence on Assyrians (also known as Chaldeans and Suryan and the latter are loosely called Syriacs) compared to the effect of political groups or national ideology. The latter has yet to mature under the divided Assyrian leadership that has proven to find comfort in the bosoms of ineffectiveness led by mediocre political groups. A genuine grassroots national awareness has yet to find its way into Assyrians' mind and soul. Assyrians (also known as Chaldeans and the Suryan) continue to allow the Churches to meddle in their affairs and divide them just as they did centuries back. What would it take the Assyrians to draw that line and force the churches to pull their hands out of national issues? What would it take the Assyrians to force the politicians (who many of them legally have no support whatsoever from the people) to agree on a unified leadership and agenda? Is not the bombing of five churches in Baghdad and Mosul on August 1, 2004, the beheading and killing of Assyrians, and the fleeing of Assyrians from Iraq in thousands an alarming sign for these selfish self-claimed Assyrian leaders? The fact of the matter is that the Churches are involved greatly, whether we accept this or not, even though the religious leaders stress the separation of state and church every now and then. One can only read the many declarations, statements, lectures, and letters by our bishops of the various Assyrian denominations to prove this unwarranted involvement in national affairs. If the Churches continue to be involved in the politics of our nation, then how are they cooperating with the Assyrian political groups in Iraq to secure Assyrians' rights in a free and democratic Iraq? How are the Chaldean Catholic Church or the Syriac Orthodox and Catholic Churches that have always stayed away from our national issues preparing for these changes? Is going their own way the path of wisdom? Many Assyrians were looking forward to the August 23 – 30, 2004 Synod of the Church of the East that took place in Chicago. They expected the Synod to address the issues most important to Assyrians in these troubled times. It goes beyond saying that Iraq, its future, the conditions of Assyrians, and the relations with other Syriac-speaking Christians, Christians in general, and with non-Christians in Iraq, in this order of importance, are critical issues Assyrians face today. Then how has the Church of the East addressed these issues? By reading the final statement of the Synod, it was surprising to see a complete avoidance of the topic of inter-relations with the Chaldean Catholic Church and the Syrian (Syriac) Catholic and Orthodox Churches. Why did the Church of the East neglect her sister church, the Chaldean Catholics? Can the "Nestorians" ignore their "Chaldean" and "Jacobite" brothers and sisters in these crucial moments? Is this to the benefit of Christians in Iraq? Why is the leadership of the Chaldean Catholic Church and the Church of the East so careless in their actions or should I say inaction in dealing with this issue. With the liberation of Iraq, most of the average and law abiding Iraqis, including Assyrians, began finally to experience the gifts of freedom. On October 22-24, 2003 in Baghdad, the two biggest Assyrian political groups in the Middle East, the Assyrian Democratic Movement (ADM) and the Assyrian Democratic Organization (ADO), organized a monumental conference to reunite the various Assyrian denominations in order to face the challenges of future Iraq. In its final declaration, the conference made a bold and courageous decision to adopt the unifying title of ChaldoAssyrian for all the Syriac-speaking Christians in Iraq and demanded that the ChaldoAssyrians' administrative, cultural, and political rights be guaranteed. After many arguments and heated discussions, the Iraqi Transitional Administration Law (TAL) issued on March 8, 2004, recognized the rights of the ChaldoAssyrians. That was a good start. We should have taken advantage of and built on it; however, we did not. Few months before the October Conference, news leaked about the intention to push for a compromise with the adoption of the title “ChaldoAssyrian.” In mid 2003, the patriarch of the Church of the East, Mar Dinkha IV, called for two meetings in Chicago. The first was a gathering of the church leaders, representatives of the political groups and notable Assyrians from around the United States. The second meeting was with groups and individuals from Chicago alone. In that second meeting, a few attendees relayed interesting information to me. They explained that the Patriarch asserted and stressed clearly his support for the ChaldoAssyrian name. In California, AssyriaSat (a 24/7 Assyrian Satellite TV station and property of Bet-Nahrain Inc.), under the leadership of Dr. Sargon Dadesho, President of Assyrian National Congress, continues its opposition to this unifying title. In the beginning, it kept a moderate stand in showing its objection due to the ambiguous position of the Patriarch. There is an intricate relationship between Mar Dinkha and Sargon Dadesho, who has at his disposal a powerful media outlet through the 24/7 satellite TV. It seems that after the two meetings mentioned above, the Patriarch had changed his mind and withdrew his support for the ChaldoAssyrian unifying title. This could have materialized because of the two-pronged influence from Dadesho in California and the Church of the East Archbishop in Baghdad, Mar Giwargis Sliwa. 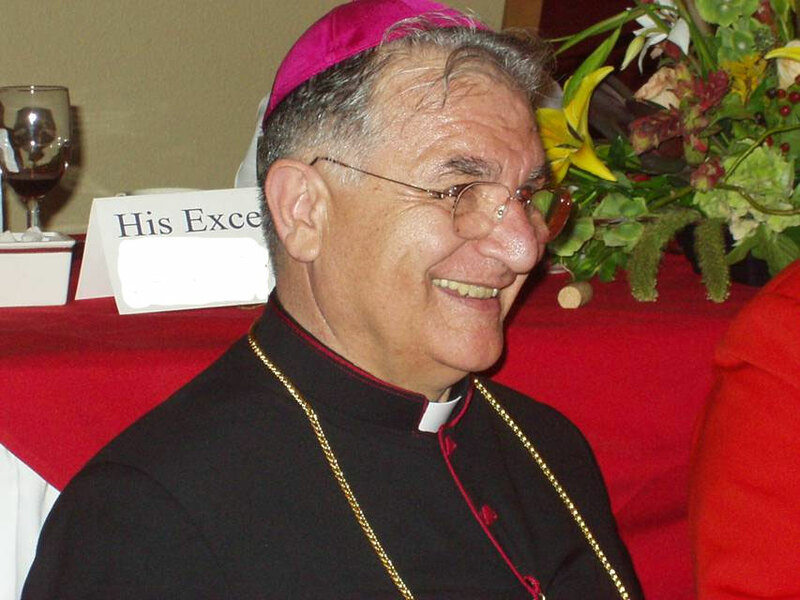 Mar Giwargis and Mar Addai II, Patriarch of the Ancient Church of the East, had attended the October 2003 Baghdad Conference and later expressed their opposition to the common understanding of the said conference. 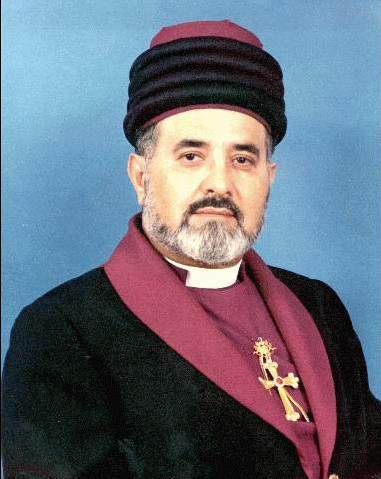 On March 27, 2004, Mar Giwargis, Mar Addai II, and Mar Syorious Hawa, Bishop of Baghdad and Basra for the Syrian (Syriac) Orthodox Church, issued a letter withdrawing their support of their Churches for the October 2003 Conference. This letter came in response to a letter by 19 Chaldean bishops and a statement by His Beatitude Mar Emmanuel Delly, Chaldean Catholic Church Patriarch, in an interview with Sawt al-Kildan (Chaldean Voice) radio station in Detroit. The interview aired on the eve of the signing of the Iraqi Administration Law for the Transitional Period in Iraq. Mar Delly, in this interview, declared the presence of a Chaldean nation on the land of Chaldo! On August 12, 2004, Mar Giwargis and Mar Addai II returned to reaffirm their stand on the name issue and the policy of the Assyrian Democratic Movement (Zowaa). They sent a letter to Dr. Fouad Ma'soum, the President of the Preparatory Committee for the Iraqi National Conference, against the ADM's list of suggested representatives to the Interim Iraqi Parliament and recommending their own single candidate. This was clearly a move against the ChaldoAssyrian coalition. In Iraq, Mas'oud Barazani and the leadership of the Kurdistan Democratic Party (KDP) realize earlier that the only legitimate threat to the so-called creation of Kurdistan in northern Iraq are the Assyrians, the true indigenous people of northern Iraq. Today's Kurds with their great numbers in northern Iraq (and I am not addressing here how they increased these numbers on Assyrian lands and since when) have certain rights, which could not be ignored. In world's politics today, the name of the game is beyond any doubt numbers and power. The Kurds realized that any unity for Assyrians (including Chaldeans and Suryan) would be a roadblock in the path of their expansion in north of Iraq. Therefore, the KDP created puppet groups and used individuals from all churches, including bribing certain bishops in north of Iraq, to assure the disunity and division among the Syriac-speaking churches in Iraq. In 1992, the KDP exploited Abd al-Ahad Afram and Yousif al-Qas Hanna, members of the Chaldean Catholic Church and the KDP, to establish the United Kurdistan Christian front to oppose the ADM in the 1992 regional elections in north of Iraq. More recently in 2003, following the same policy of divide and rule, the KDP helped create the Chaldean Democratic Party under Abd al-Ahad Afram, an organization that calls for a separate representation of the Chaldeans in the upcoming Iraqi elections and parliament. The Chaldean Catholic bishops in the United States, namely Mar Sarhad Jammo and Mar Ibrahim Ibrahim, were initially behind the de-Arabization of the Syriac-speaking Catholics in Iraq. They promoted the title of Chaldean as separate from the Assyrian in U.S. Census 2000. On September 3, 2003, 19 bishops from the Chaldean Catholic Church sent a letter to Ambassador Paul Bremer, Civil Administrator of Iraq at the time, demanding separate representation in Iraq. The bishops somehow did not have a vivid picture of the situation in north of Iraq and did not consider in their calculations the Kurdish power and influence. Today, Mar Sarhad and Mar Ibrahim are greatly concerned about the Kurdish threat to the indigenous Assyrian Christians (including Chaldeans and the Suryan). According to Zinda Magazine reports of the current “Petition Campaign,” the two bishops have demonstrated their support for the ChaldoAssyrian title to counter that threat. Yet, interestingly, their current stand is in conflict with that to the other civic and political leaders in Detroit. Earlier, the letter of the 19 bishops had sent shockwaves to the moderate Assyrians and Church of the East. It seems here that Mar Dinkha decisively changed his mind about the unifying ChaldoAssyrian title. With the switching of His Holiness’ position, AssyriaSat found the silent support it needed in the new position of the Patriarch and embarked on a vicious attack campaign against the ADM, its leadership, and the unifying ChaldoAssyrian political compromise. The senseless campaign continues to this very day. The KDP had also used the services of Franso Harriri and appointed him as the governor of Arbil to express their good will to the world. According to another Zinda Magazine report, the Kurds used Romeo Nissan Hakkari and Sargis Aghajan and appointed the latter lately as Deputy Prime Minister and Minister of Finance in the Kurdish Arbil regional government in northern Iraq. All these non-democratic policies by the powerful KDP may have weakened and undermined the Assyrian national unity in Iraq. The unity of the Assyrian voice in Iraq has a monumental affect on their success in that country. While the two most powerful Kurdish groups of Barazani's KDP and Talabani's PUK have succeeded to put their differences aside and work together, Assyrians (ChaldoAssyrians in Iraq) continue to allow division to weaken their strong national claims in northern Iraq. I continue to ask: who benefits from the Assyrians' division? The answer is simple, the Kurds. In 2000, Mar Dinkha visited Iraq, traveled to Arbil, and was a guest of Franso Harriri. Meanwhile, the Patriarch did not make any official or visible contacts with the most powerful Assyrian political group in the region, i.e. the ADM. He did not even visit any of the many Syriac-teaching schools in north of Iraq to give them his blessings. Did the KDP have anything to do with this behavior or is it the tribal nature of the Assyrian affairs? Or did the Patriarch avoid the wrath of the Iraqi Ba'ath regime by not visiting the Assyrian groups? If so, why then did he visit with Harriri, a known KDP associate? The Patriarch is from the tribe of Nochiya as are many other Assyrians politicians in Iraq such as the late Franso Harriri, Sargis Aghajan, Fawzi Harriri, Romeo Hakkari, Kristo Yalda Torkhan (one time director of KDP central TV station), and many others. The KDP needed to lessen the influence of the ADM in North Iraq. It succeeded in demonstrating a detachment between the Patriarch and the most powerful Assyrian political group in Iraq by keeping His Holiness away from his people. The KDP was able to use certain of these individuals, affect the travel agenda of the Patriarch, and sadly keep His Holiness from the brokenhearted Assyrian school children in north Iraq. The rejection of the term ChaldoAssyrian by the KDP has been on top of the Kurdish anti-Assyrian agenda, because it denotes the union of the Chaldean and Assyrian population in Iraq. The Patriarch’s change of heart shortly after the second Chicago meeting came as no surprise. Neither were the Assyrian activists surprised at the Chicago parishes’ decision last Sunday on avoiding the entire “Petition Campaign.” No Assyrian Church of the East parishes allowed the distribution of the Petition guaranteeing the full rights of the ChaldoAssyrian Christians in Iraq. It seems that the Patriarch remains steadfast in his decision to avoid the use of the term ChaldoAssyrian. As I have stated earlier, the two bishops of the Chaldean Catholic Church in the United States, Mar Ibrahim Ibrahim and Mar Sarhad Jammo, have lately endorsed a petition by activists in the United States to protect and guarantee the rights of ChaldoAssyrians in Iraq. However, according to latest reports posted on Ankawa.com, the powerful Chaldean Church in Iraq, while capable of doing so, is not using its influence to stop the efforts of the few to include Chaldean as a separate designation in the Iraqi upcoming census. Reports from Detroit indicate that the Chaldeans in the state of Michigan predominantly do not recognize the title ChaldoAssyrian and reject the title Assyrian. So the questions remains: Are the Chaldean Catholic Church playing on two fronts? Are the bishops in the United States keeping the Assyrians in America in check while those in Iraq are planning their separation? The two bishops should do more. While they fought to de-Arabize the Chaldeans and separate them from the Assyrians at the same time, they need today to return and undo that separation from Assyrians. Assyrians and Chaldeans can then turn together and complete the de-Arabization process together. If the bishops wish to be involved in the politics of our nation, then they should promote peace and harmony among all our denominations. They must rise above the occasion and actively encourage their members to sign the Petition which guarantees the rights of the united ChaldoAssyrians in Iraq. Otherwise, the double formula prescribed by certain bishops will backfire and the slow but promising cooperation between the Iraqi Chaldean Catholics and the non-Catholic Assyrians will be stamped out by our preference for religious or historic identities over the welfare of our people in our homeland. My desperate plea is: What would motivate the Assyrian masses (including Chaldeans and the Suryan) to demand a change and unite this divided nation? The churches are within us; they belong to us and not to the bishops. It is time to tell the bishops what we want to be done and stop passively accepting the damage done through what these bishops have done and are still doing. It is also to mobilize a grassroots movement to take the church back and give it to the people. The Kurdish groups want to change the ethnic balance in the North. As many as 500 Kurds are moving to the North every day, while as many Assyrians are leaving each week for Jordan and Syria. Now that better relations between the "Iraqi Catholics" and the rest of the Assyrian nation is restored, as well as our confidence in the Chaldean Bishops' good faith and ability to hitch it on to the "ChaldoAssyrian" wagon, why then is Michigan clung to the belief that the safety of the Christian in Iraq is less important that the Chaldean relations with the Arabs in the region? Apparently, building a commercial enterprise for a few concerned Chaldean businessmen living in Michigan appears to take precedence over the welfare of the Chaldean faithful in Iraq. Additionally, it is obvious that what matters for few Assyrian politicians and clergymen is not the big picture as they still need to learn how to look beyond the lush green grass in front of their comfortable homes in the West. The politics of the Assyrian nation cannot and will not move forward by assumptions and suspicions. It is time for the "Chaldean" groups in Detroit to play it fairly. A second genocide of Assyrians like that during World War I or another 1933 Simele massacre should not be the motivation for us, especially the Chaldean groups, to act. Let us make a decision now and draw the final line to save the posterity. (ZNDA: Baghdad) Nine ChaldoAssyrian workers and four Muslim Iraqis were killed in Baghdad yesterday, accused of being collaborators of the United States. Six of the workers were young Chaldean Catholics. A few others were also critically injured when a bus carrying employees of the Baghdad Hunting Club (Nadi al-Sayd) was attacked by unidentified armed men. The attack took place in the early hours of Monday morning as the employees were returning home from work. The news was confirmed by Auxiliary Bishop Shlemon Warduni of the Chaldean Patriarchate, in statements on Vatican Radio. Mar Warduni explained that, from his point of view, it was not an attack against Christians. “I think they were killed only because they were workers," he said to the papal broadcasting station. 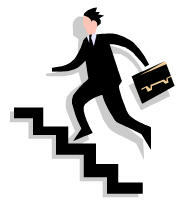 "Many groups don't want anyone to work. But, how can people live without working?" the bishop asked. The insecurity that reigns in the country is causing great anxiety. "People are afraid to go out and the number of those who go to Church is diminishing," he said. "Some Churches have started catechetical activities; others have not for fear of having someone kidnapped. It is also difficult to gather young people. We'll see what happens with the schools, as classes have not yet started," he continued. The Chaldean Church was working for the release of hostages in Iraq, in particular the two Italian women volunteers, who work assisting children in Baghdad, he said. Both women were released earlier today. "Hundreds of people have been kidnapped for which they demand a ransom of between $10,000, to $20,000, to $50,000 per head," he concluded. Last week in Mosul, terrorists kidnapped and decapitated another 30-year old Chaldean Christian, who managed a small gift and souvenir shop near the university. Many Iraqi Christians speak foreign languages well, which is the reason why foreign businesses want to be associated with them, both for retail businesses as well as import/export enterprises, reported Aid to the Church in Need (ACN). Since the official declaration of war a year and a half ago, more than 80 Christians have died at the hands of Muslim terrorists, 20 of them in September of this year, ACN reported. The decapitation of two of the 20 was recorded on a cassette distributed in Mosul. In August, several churches and priests' residences were targets of attacks. (ZNDA: Jaramana) Attacks on purveyors of alcohol and music had already rattled Iraq's tiny Christian community, but last month's bombing of churches shattered the hope some still had of staying to help rebuild their country. When Wafa heard a deafening blast at a nearby church, she grabbed her two children and left straight for neighboring Syria, where she had already spent four years as an exile from Saddam Hussein's rule. "I wanted to stay in Iraq but things were just getting worse," she said, declining to give her full name. Already wary of going out with her hair showing in a country where more and more women were covering their heads -- including some Christians scared of being singled out by Muslim extremists -- the bombings were the last straw. "After the bombings I realized I could not go to church there again. I was scared," she said. For decades, Iraqis have been fleeing to Syria, which openly welcomes all Arabs and hosts about 250,000 Iraqis, most of them Shi'ite Muslims repressed by Saddam. Facing an uncertain future in post-war Iraq, more and more members of one of the world's oldest Christian communities are seeking refuge in Iraq's secular neighbor, whose own Christian minority is allowed to worship openly. "We have seen a slight increase in the number of Iraqis approaching our office in the past two months. This clearly reflects an increase in the number of Christians," said Ajmal Khybari, senior legal officer at the United Nations refugee agency (UNHCR) in Damascus. "About 20 percent are Christians compared to demographic statistics of under 5 percent." Christians make up some 3 percent of Iraq's population of about 25 million and have traditionally kept a relatively low political profile, mindful of the precariousness of their position in an overwhelmingly Muslim society. Even before car bombs hit five churches in Baghdad and the northern city of Mosul on Aug. 1, attacks on liquor stores and hairdressers and verbal insults on women exposing hair or skin had heightened Christian fears that they would be singled out. Emmanuel Khoshaba, Syria spokesman for the Assyrian Democratic Movement, an Iraqi Christian party, said there were now 10,000 Iraqi Christians in Syria. Most, he said, had arrived in the 16 months since the U.S.-led invasion of Iraq. "Christians used to come here before for economic reasons, but in small numbers," Khoshaba said. "But the war and added security concerns have increased the numbers." Christians, most from the early Assyrian sect and Catholic Chaldean churches, said they felt safe and free to worship in Syria and it was closer and cheaper than neighbors like Jordan. But many complained it was hard to find work. Some are applying to begin new lives in Australia or Canada. Al Assaf Charitable Institute attached to the Ibrahim Khalil Catholic church in Jaramana on the edge of Damascus, where Iraqi Christians have congregated, has for the past three years provided three meals a week and health care for 60 families. "We are open to all nationalities and religions," said director Hayat Chahine. "A lot of Iraqis come here to pray and many have settled in the area. The number of Iraqis has increased since the war and it is increasing more and more." Abu Stephan stayed in Iraq, where he tended the garden at the German Embassy, despite anonymous threats warning him to quit the job that fed and clothed his wife and two children. Then his son Stephan, 9, was hit by a car and snatched by the masked men inside while on the way to Sunday school with his mother. The kidnappers demanded a $30,000 ransom and warned Abu Stephan to quit a new job as a gardener for a German firm. Days later, as he was scrambling to scrape together the cash, his son's battered body was found dumped on the stretch of road where he was grabbed. "They said I was collaborating even though I worked with the Germans, not the Americans. When Stephan died I knew enough was enough," he said, sitting on the floor of his three-roomed home, where the only furniture was a small television. "I was at St. Rita's church when a car went up in flames outside. The police said it was packed with explosives but they turned out to be faulty. Then the priest got a call telling him to evacuate because other churches had been attacked." A Role in the New Iraq? While Christians, like most Iraqis, hated Saddam for his oppression, they were relatively free to worship under the dictator who officially preached religious tolerance and maintained Tariq Aziz, a Christian, as deputy prime minister. Iraq's current insecurity, including devastating assaults on mosques and Muslim shrines, has left Iraqis of every religion feeling unsafe. But some Christians, proud of their roots in a land long pre-dating the seventh century arrival of Islam, feel especially vulnerable because of their small numbers and a perception that they have something in common with Americans. "All religions have been attacked, but when the Americans came some foolish people started turning against us, thinking we support the occupation just because we share the same religion, saying we should leave," Abu Stephan said. "But we are Iraqis, the original Iraqis. Why should we leave?" I was frankly confused and shocked at the convention's Banquet! How could all those speeches and comments about unity among Assyrians and Chaldeans or all other Assyrians take place while the only invited clergies were from the Church of the East? (With all the respects to Mar Bawai Soro) I believe they should have invited all the clergies from San Jose churches or non of them and to be more successful in our goals as one nation we should learn and understand it's about the time to separate the church from the state. The Assyrian American Association of San Jose is proud to present an unforgettable poetry night with our famous poets Hannibal Alkhas and Ben Melco.